At her core, Glynnis MacNicol has always known writing was her passion. She still remembers her first journal from when she was only 6 years old. Glynnis has translated that fierce need for independence into her role as the co-founder of TheLi.st, a women only social network that seeks to bring professional women together for camaraderie, business connections, and a space for open conversation. Glynnis loves to write about the intersection between media, pop culture, and politics. 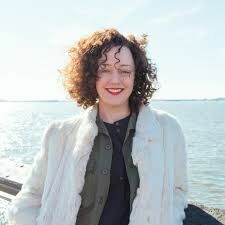 Her work has appeared in print and online for publications including Forbes, The Cut, Elle.com, New York Daily News, Marie Claire, Capital New York, but also for publications like Fox News, MSNBC, NBC, and CBC. Over Bloody Mary’s at Fool’s Gold in Manhattan, she talks about her new memoir, No One Tells You This, about living through her 40th year, her colorful journey as a journalist in New York, and how she struggled to learn the media world and how she continues to push what she can do in it.